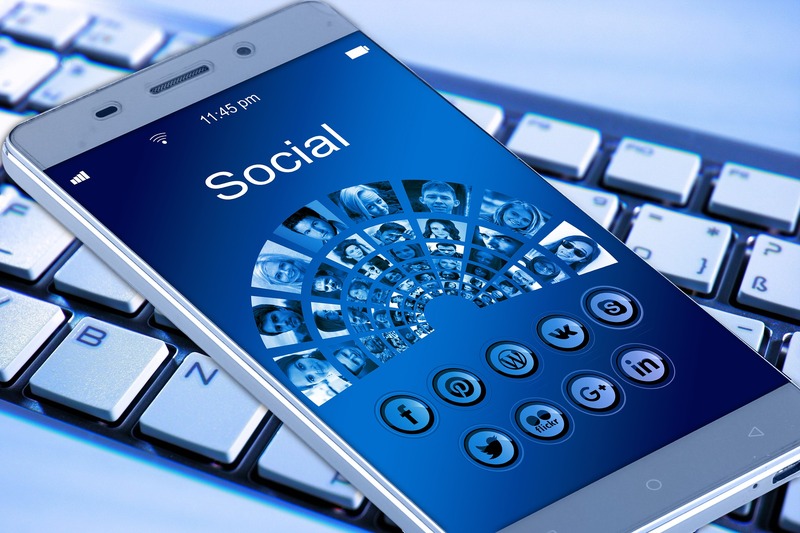 Social Media today is all the rage with staying connected to your network. Today we are going the understand its power and how to use it. Rachel: Hello and welcome back to the marketing whisper podcast. I am your host Rachel, Kathryn: This is your co-host Kathryn. Rachel: Today we want to talk about the power of social media, both good and bad. Kathryn, would you like to start? The power of social media, both good and bad. Kathryn: Yes. As an avid social media user, I will start. Rachel: Great. I’m excited. Kathryn: So what is the power of social media, Rachel? What makes social media so engaging? Why do we use it so much? I’ll tell you why we use it so much. Human connection. Rachel: What about human connection? Kathryn: I just think that we as humans, we love human connection. We love connecting with people and we love connecting with people who have similar interests. But the coolest thing about social media is that you can connect to people that have different interests as well, and it’s all at your fingertips. I’m talking to someone from Greece, I’m with my fingertips. I’m talking to somebody from Africa, from my fingertips. And that’s the power of social media. 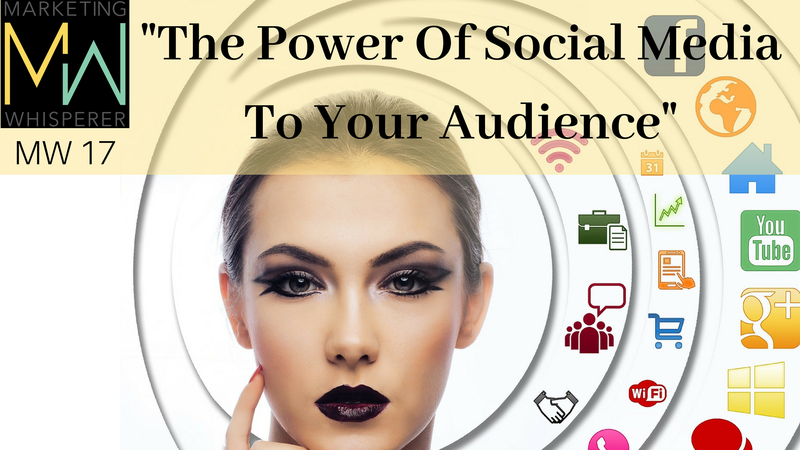 The power of social media is that you can reach an audience globally now. It’s no longer just, you know, in your small hometown or just in your small city or just even your state. Now it’s the state that state, that country, that continent, you can reach somebody in Antarctica if you really wanted to, but there’s probably no one there to reach. But the point is you can do it with social media. And the greatest thing about it, and also sometimes its downfall, is the fact that things can go viral via social media. So things can spread all over in a span a minute. Kind of like anyone who sees Infinity Wars, the snap of Thano’s finger, kind of how social media is. Kathryn: I can send out my tweet in a second and it’s out there for all to see people. Millions of people all over the world can see it. Rachel: Exactly. So, so the good thing is that we can reach many. The bad part is that we can reach many in seconds. Kathryn: So really what it is with social media and the power of it is you have to know how to use social media. There has to be a balance. You have to know how to work social media to work for you and not against. You. Think about back in the day, how did people hear about the wars? They that they just heard about it via the radio, whatever was told to them on the radio and that’s what they had to believe because that’s all they knew and was like, now I can hear about problems going on in Pakistan. Kathryn: I can hear about problems going on in South Korea all because of social media and it becomes this big thing and it also makes people a little bit more socially aware because you know you’re not just stuck in a bubble. Now you know about things happening worldwide. Rachel: Exactly, and that’s the thing, to touch on how you should use it is I know that there’s a lot of drama out there as well because there’s a lot of, especially with Adobe products and Photoshops and things like that. People have been able to gather and splice things and, and just change things up for obviously their personal gain to bring someone down. That’s not what we’re talking about. We’re talking about using it and making it effective for your audience and for the people your target audience that you want to reach. Kathryn: One way to make social media work for you is you have to, as weird as the saying is, you kind of have to get with the times. Now you don’t want to be too with the times because you don’t want to be like a 40 year old person on twitter trying to talk like teens for your business. People are gonna. Just think you’re phony but you want to get with the times. You want to know how can I work with modernism but still keep my company’s values? Rachel: And that’s what you have to focus on. So as we’ve stated in the past, you know, pre planning is the best key when using social media. I think planning out what your content is going to be before you put it out there, when it’s going to go out there, how many times a week if you’re going to do it weekly, the exact date and time is key. Kathryn: Especially with the content though, it’s remember what we said once it’s out there, it’s out there. The best way to go about putting your content out there, especially on social media where it can go viral, where it can be global is you want to make sure that you have almost like a diverse focus group. You know what I mean? Not necessarily a focus group because those don’t work as much anymore, but like a diverse group of people who can look at your ad, who can look at your content, who can look at whatever you’re putting out there and tell you. Okay, yeah, that’s something that sounds offensive. Like that’s not going to run well. That’s gonna bring you bad press, not good press. You want to always be checking what you’re putting out there. Rachel: Your talking about checking with a team of people, a diverse team, people. Kathryn: I one time saw, I can’t remember the company, it was a clothing company, but it was a clothing company and on the shirt they had a monkey, a character monkey and the person they had modeling it was a young little black boy. I think it’s the shirt said something that it just kind of borderline on that stereotype of people calling black people monkeys that did not go over well with anybody. Many people were offended and not just black people, just people in general were very offended by it because it was like, it was very tastelessly done. Now, the company when they spoke they were like, oh my gosh, you know, we’re really sorry we didn’t mean that. But that’s why you have to be careful with social media. Rachel: The problem with social media is that people have a tendency to read in between lines that are not there. This clothing line probably meant it more for a child, monkey kind of character they associated with. It was a graphic basically of a monkey. So that’s probably how they meant it. But they didn’t think through the process of. Kathryn: You have to be subconscious of even stuff like stereotypes. It did look stereotypical that you had the young black boy modeling a monkey and that’s all people are going to see. You’re feeding into a Stereotype. Rachel: Right and they don’t see past that. That is a good point when you say we need to have a diverse team to be looking at this. I mean, if you’re a solopreneur, I always go back to, talk to your audience, your audience will help you. When you’re putting out awesome information and your training and teaching and giving them things that they can absolutely use, I guarantee you 1000 percent. I’m not even going 100 percent. I’m saying 1000 percent. They will give you amazing feedback. They will tell you the good, the bad, the ugly, everything, what you want to put out there, especially if it’s something such as that. Look, this is what I had in mind. What do you guys think? A select group of people it doesn’t have to be everyone. It can be a select group of people that you trust as well with your information. Kathryn: Like I remember one time it did not accompany, but it was an artist and they never wanted to offend their fans because obviously now with social media, you have fans from all over the world. And so they wanted to make sure that they never would say anything offensive. So many times they would tweet out something and be like, I want to do this type of make up for my music video, but I don’t want to offend. I think they were doing like a, like a Bollywood style. They were like, but I don’t want to offend. So what part of your culture should I not put on me? So as not to offend? I want to show my appreciation for it. Not my appropriation for it. Rachel: Appreciation. Not Appropriation. Like excellent words. Rachel: Yes. They didn’t want to do culture appropriation. They wanted to do culture appreciation. They wanted to show that they appreciate the culture, not are making fun of it or doing it in jest, like the Bindi. Rachel: That’s an absolutely creative way to get their content out there and get feedback from people. That’s awesome. Kathryn: Like the Bindi that’s Indian. That’s part of Indian culture. But nowadays you see many times, people wear that at festivals they just wear it wherever and the Bindi is sacred to them. That’s a part of their culture and many times an artist have worn it. They’ve gotten a lot of backlash from it. Rachel: Interesting. I didn’t know that. Kathryn: So it’s like, it takes two seconds to ask people like, Hey, I want to show appreciation for this or I don’t want to offend you with this, so can you give me some pointers on what I should do if you. Especially if you have a global audience. Why would you not use your global audience to help you better your product or your service? Rachel: I think that that is key to using social media. You know, again, you’re creating engagement and what your audience begins to see is that you really, truly care about them, that you really want to know,. Are we going to offend people? Kathryn: Yeah, of course there’s going to be people you never please. Rachel: Exactly. But the thing is that you’ve done all that you can to not be offensive and those that are going to be offended or going to be offended and they’re going to say this, that the other. And there’s nothing honestly that you can do about that. Kathryn: You’re not going to be liked by everyone in the world and that’s okay honestly. The point is, that you work hard to not be offensive, to be engaging, and use social media to the best of its ability while still remaining true, keeping moral value. Rachel: Exactly. And, and the thing is that your audience sees this kind of engagement and they really become so appreciative. I’m going to give you a real quick case in point here that we just recently did a, my son is a chef and he needed to get into a contest. Well, what we did, the team here was, we used our social media to help assist in this contest. I can tell you that within, 30 minutes the contest was that this video had to be watched, shared, and liked and that was the main focus. So it had to be watched, shared and liked. By so many people, and the highest of viewers, likes, and shares, we’re going to be able to get into this contest. Well, the amazing part was that within less than 30 minutes we began to see results. I mean, people were like, sure, I will help you. I mean we were private messaging and really engaging with our friends, our family, our customers, and we were just like, hey, you know, can you share this video, this is going to help this, my son and I tell you we had an influx. I mean the video shares the watch the likes. It went through the roof to the point. The people who were running the contest, we’re like, oh my gosh, this is amazing. You are definitely in the top 10. So I think that using, always having valuable information out there, always engaging with people. But again, now I’m going to tell you this, you do this, but you also have to give back. When someone does ask you, and contact you and say, Hey, can you share this for me? Would you mind sharing this? Especially if it’s something such as, I mean I don’t want you to go posting things that would offend you or things that would bring your integrity down because that I wouldn’t agree with either. I know that everybody’s content out there is not shady. So if someone asks you, Hey, would you mind sharing this? Like I’ve had people, can you share this? Donate for me, you know, or go fund me and if I see that the cause is good cause why not share it? So I think it’s amazing that we are able to help one another. And this is how you use social media. Any closing words, Kathryn? Kathryn: Yeah, just use social media wisely, that’s really my closing. Use it wisely but use it. Rachel: Definitely use it. She said at the beginning, get with the times, I don’t care what business you’re in. It doesn’t matter the age. Gets someone who can assist you, who can help you and make that platform. Kathryn: Companies that I see on twitter, a lot of their social media people are young people. So there’s no shame in not knowing how to use it. If you don’t know how to use it, get a young kid, they’ll most likely really bring you good traffic because they know how to use it. They know how to work it. Rachel: The whole point is that we use it effectively and if we can’t ourselves use it, get someone who is very good at it. I would also say that you should make sure that they know what they’re doing, but always do your due diligence. You use it! and because there’s a lot of junk that they put out there but at the same time there are your younger generation that can assist you with this and really make it go to the next level. So we want to thank you today for tuning in and we will see you next week and we ask that you visit RachelCalderon.com for past episodes and also any future episodes. Good Bye!